Domaine Serene in Oregon, Walla Walla's Reininger and Mission Hill Family Estate in British Columbia - three of the Pacific Northwest's top brands - each won best of class awards at the prestigious 2017 Decanter World Wine Awards this spring in London. Dundee Hills showpiece Domaine Serene won a Platinum Award for best in category with its 2013 Jerusalem Hill Vineyard Pinot Noir, a site in the Eola-Amity Hills northwest of Salem. Chuck Reininger and his eponymous brand earned a Platinum as Best USA Red Rhône Varietal for his Reininger 2013 Syrah from the Walla Walla Valley. The wine, made with grapes from Seven Hills and Pepper Bridge vineyards, was co-fermented with Viognier. 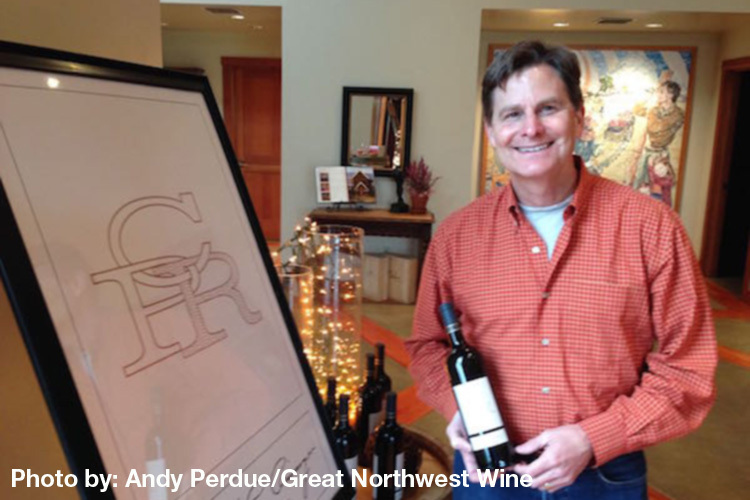 Earlier this year, it merited a gold medal at the Cascadia International Wine Competition. Mission Hill, Anthony von Mandl's destination overlooking Okanagan Lake near Kelowna, made another case for Pinot Noir in British Columbia with a Platinum award for his 2015 Terroir Collection No. 43 Reflection Point Pinot Noir.